(NASCAR)—Both of Missouri’s drivers in the Chase for the NASCAR Championship ran well enough to be in the top twelve in points in the first of the ten races that will determine this year’s champion. 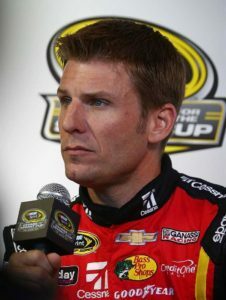 Joplin’s Jamie McMurray finished eleventh and Carl Edwards finished fifteenth but stands ninth in points because he started the runoff with six bonus points awarded because of his two victories in the first twenty-six races. Drivers in the top twelve in points will advance to the second round of the championship runoff. Martin Truex, Jr., won the race, guaranteeing a slot in the round of twelve. Unlike other major sports—baseball, football, basketball, and hockey,—all teams continue to compete in the NASCAR playoffs. Each weekend, the drivers still in the hunt for the title have two-dozen other drivers also racing them. And even after the field is narrowed to twelve after the first round of the tournament, then to nine after a three-race second round, and ultimately to four for the final race, there always will be forty cars racing for that race’s victory. In the first race of the Chase, three of the drivers who finished in the top ten are not eligible for the championship: Ryan Blaney, who finished fourth; Kasey Kahne, eighth, and Alex Bowman, tenth. Being in the Chase does not mean non-Chase competitors make way for the championship contenders. Kevin Harvick, for example, who led all drivers in points going into the championship run-off, finished twentieth in the race. Imagine if the Major League Baseball season ended on the first of August and the three division leaders and the four wild-card teams (two from each league) were designated as the only teams that could compete for a chance to play in the World Series. The season, in effect, would be re-started on August second and the ten championship contenders would have to play games against all other teams in both leagues until October 20th. The two teams out of the ten contenders with the best records (even if a team that was not among the ten on August 1 had more) would play in the World Series. In NASCAR, a tie in points is broken by the competitor with the most wins. In baseball, perhaps, any tie would be broken by the team with the most runs during the Chase. (IndyCar)—Roger Penske’s fiftieth year as an owner in IndyCar racing has left him in a familiar place. One of his drivers has won the championship, his fourteenth. 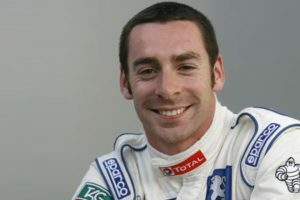 Simon Pagenaud became the first French-born driver to win the national championship since Gaston Chevrolet won it in 1920, the year he won the Indianapolis 500. Chevrolet, however, was killed in the season’s last race on the board track at Beverly Hills. Two of Pagenaud’s Penske teammates finished behind him in the standings—Will Power and Helio Castroneves. IndyCar is done for the year. Racing resumes March 12 on the streets of St. Petersburg, Florida. (FORMULA 1)—Nico Rosberg has taken the points lead away from teammate Lewis Hamilton with his win of the Singapore Grand Prix. Rosberg stayed ahead of runnerup Daniel Ricciardo throughout the race and won by four-tenths of a second. Hamilton finished third and now trails Rosberg by eight points. F1 still has six races left. Its season concludes November 27th with the Grand Prix of Abu Dhabi.